Two classic collections of Nora Ephron’s uproarious essays—tackling everything from feminism to the media, from politics to beauty products, with her inimitable charm and distinctive wit—now available in one book for the first time. 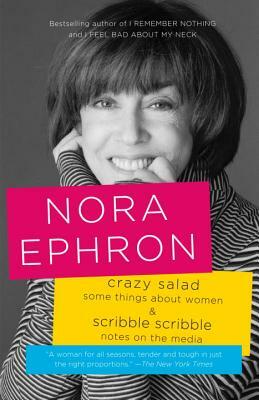 This edition brings together some of Ephron’s most famous writing on a generation of women (and men) who helped shape the way we live now, and on events ranging from the Watergate scandal to the Pillsbury Bake-Off. In these sharp, hilariously entertaining, and vividly observed pieces, Ephron illuminates an era with wicked honesty and insight. From the famous “A Few Words About Breasts” to important pieces on her time working for the New York Post and Gourmet Magazine, these essays show Ephron at her very best.